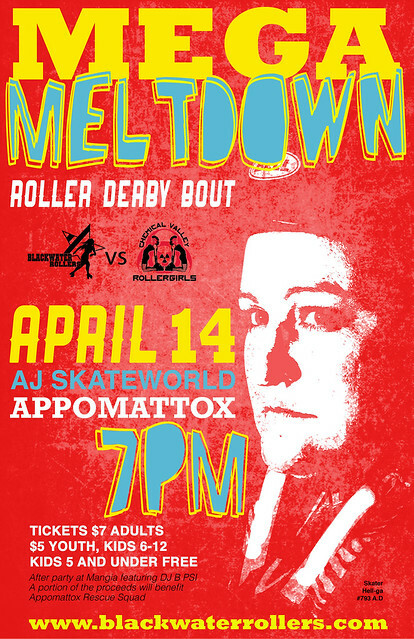 Up next on April 14th at AJ Skateworld in Appomattox, your Blackwater Rollers are taking on the Chemical Valley Roller Girls from Charleston, WV. Be there or we will get Hell-ga after you! A portion of our proceeds will benefit the Appomattox Rescue Squad. A special anthem and half time performance along with DJ B Psi spinning tunes during the bout and at the after party an Mangia. For more information, check out our facebook event page and get your presale ticket today!